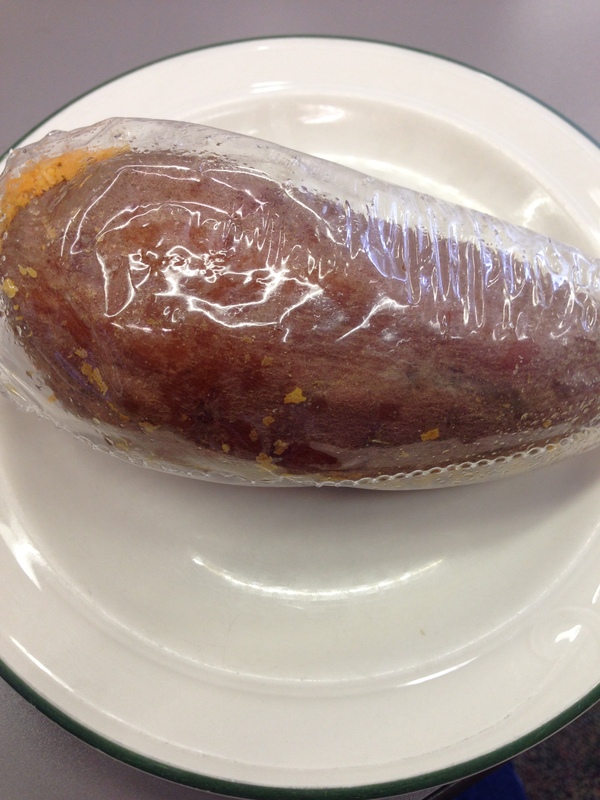 You know those Yams in the plastic wrap? Did you know they were wrapped like that BECAUSE YOU JUST THROW THEM IN THE MICROWAVE? Plastic and all? Five minutes. Cooked yam. WHO SAW THAT COMING?! Yup. Learned that lesson last week. Had no idea. Which, made my roommate laugh as she was wondering why I kept buying them in the wrapper. I just thought that all individual ones came like that. Nope. Not true. Noted. Will keep that in mind the next time I’m buying sweet potatoes. I still want to pick up some sweet potatoes and make my own fries at home with them… but alas I have not done it.